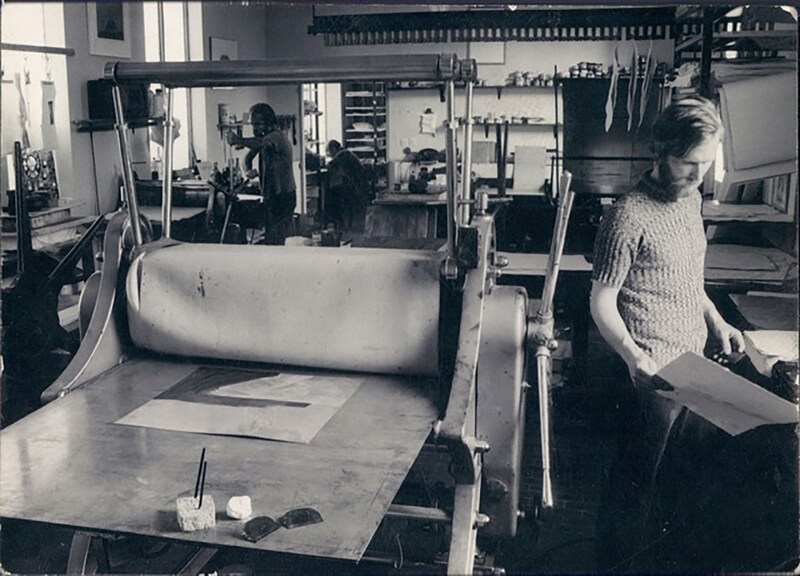 In 1970, the Santa Reparata Graphic Arts Centre opened its doors on Via Santa Reparata 41. For the next 20 years, artists from around the world came to work and study at the Center, providing courses and workspace, as well as editioning prints for artists. The founders of the Center, Dennis Olsen, Micahel Schnorr, and Giuseppe Gattuso were part of a group of artists/friends who all spent time at the center and produced work there. For this exhibition, SRISA co-curators Rebecca Olsen, Andrew Smaldone and Pietro Gaglianò have chosen works from the SRISA archive to display in the SRISA Gallery located on Via San Gallo 53R, the works chosen having been either created or printed at Santa Reparata in the early years. The works chosen include: Dennis Olsen, Suzy Harmon Olsen, Giuseppe Gattuso, Giovanni Frabboni, Andrea Granchi, Renato Ranaldi, Giovanni Ragusa, Rafaele Bueno e Sandro Chia. Sadly, both Dennis Olsen and Giovanni Ragusa passed away near the time when we first began planning this show in 2015. In addition to the works for the archive some more recent work from several artists have been included in the exhibition, including prints from Dennis Olsen and a drawing by Renato Ranaldi.